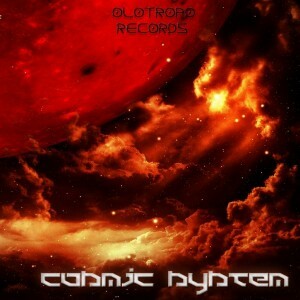 Turn up the heat with Cosmic System, a fresh collection of sizzling psytrance tracks from Olotropo Records, Brazil. Similar in approach to Organic Root Technology, Olotropo’s debut compilation, this release features a variety of different forms of dark psychedelic trance ranging from deep progressive to fully activated night music. Mastered by Olotropo Studios with artwork by Rogerio Pitta & Sergio Brentan. MP3 Download | FLAC Download | WAV Download · Download count: 7,961. D-ling it and Try this out its so GOOD !! Truly a Nice One!!!! ;) Just SPREAD!!! NICE !!!!!! DARK PSYCHEDELIC TRANCE BRASIL!!! Thanks Olotropo for support! Best wishes for all, this is a Cosmic Release! Also thanks to my mates Felipe Casuso and Danilo Oliver a.k.a Frequency Modulator! Very happy to once again join the celebration! Thanks Olotropo and Ektoplazm for the support! This is an amazing album, all the tracks r killa! We are really glad again with our second release! Showing some hidden & forgotten tracks of pure underground psychedelia! chamou na alta!!! Olotropo e a gang ta de parabéns!! !